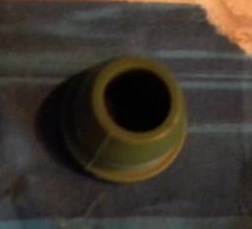 The original part is pictured below; note the olive green color. Later service replacements were black. This part is made with Nylatron LIG PA6, a modern, oil-infused nylon material that is self-lubricating and conforms to Ford's original design specifications. The color is an exact match and the part is an accurate dimensional and functional reproduction. 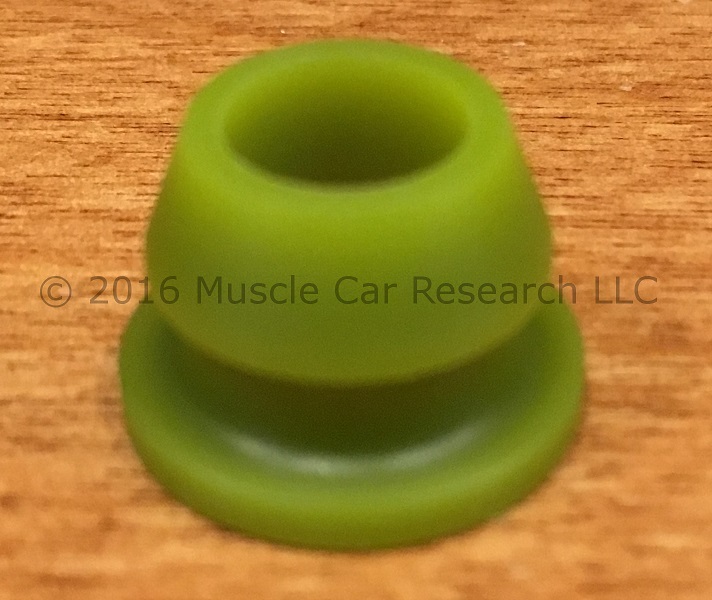 Installation tips: Soften the bushing by letting it soak in hot water for several minutes. Press the bushing into place with the steering column on a work bench. A c-clamp and socket will do the trick. The material is firm enough that it won't compress if you try to push it in by hand. I tried to install one with the column in the car and there just wasn't enough room to use tools. The fit between the rod and the inner diameter is tight. If you have trouble installing the rod you might need to remove a little bit of material with a rat-tail file or drill bit. This part is proudly made in the USA. Dealer inquiries are welcome - please contact us for pricing.